Buying or leasing a car, truck or van can be one of the most puzzling experiences you ever have. The transportation industry seems determined to keep their customers confused. Route 36 MotorCars takes the guesswork out of buying or leasing. We make the entire process simple and easy-to-understand. We thoroughly analyze your unique situation to prepare a custom-designed plan for your individual needs and budget. Whether you are acquiring a family automobile or an entire corporate fleet of vehicles, Route 36 MotorCars cuts through the confusion and provides solutions. Route 36 MotorCars offers you solutions with these key benefits. Best Selection. 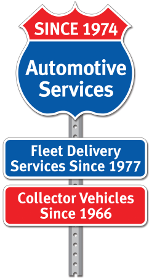 Choose from all makes and models of cars, trucks and vans. Lowest Prices. You are assured the lowest cost because Route 36 MotorCars receives valuable rebates, incentives and discounts from their factory-direct fleet connections. Best Funding Route 36 MotorCars does the shopping for you, accessing the best funding sources and plans that fit your needs. Best Services. As a valued customer, Route 36 MotorCars goes the distance to assure your satisfaction. Immediate Delivery. Most vehicles are available immediately. You may also custom order to your exact specifications through Route 36 MotorCars's factory direct relationships. Trade-In's. Route 36 MotorCars will buy your present vehicle to save you the time and money of selling it on your own. Used Cars. Route 36 MotorCars offers a selection of quality previously owned or leased vehicles. Factory program vehicles are also available for savings worth thousands of dollars.